I'm officially a BB cream convert. But would you believe that there used to be a dark time in my life when I did not want to know more about BB Creams? I even went so far as saying that I would never use one. Que horror! Until recently, I got introduced to the wonderful world of BB creams. And I fell in love. Here's another BB that made me fall in love with the entire trend. 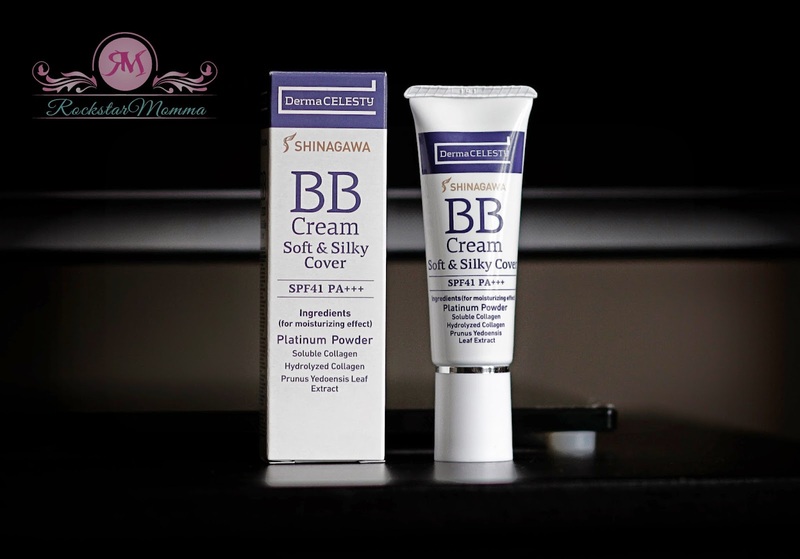 Shinagawa Laser & Aesthetics in-house skincare line, Celesty, introduces its foray into makeup through the Celesty BB Cream. 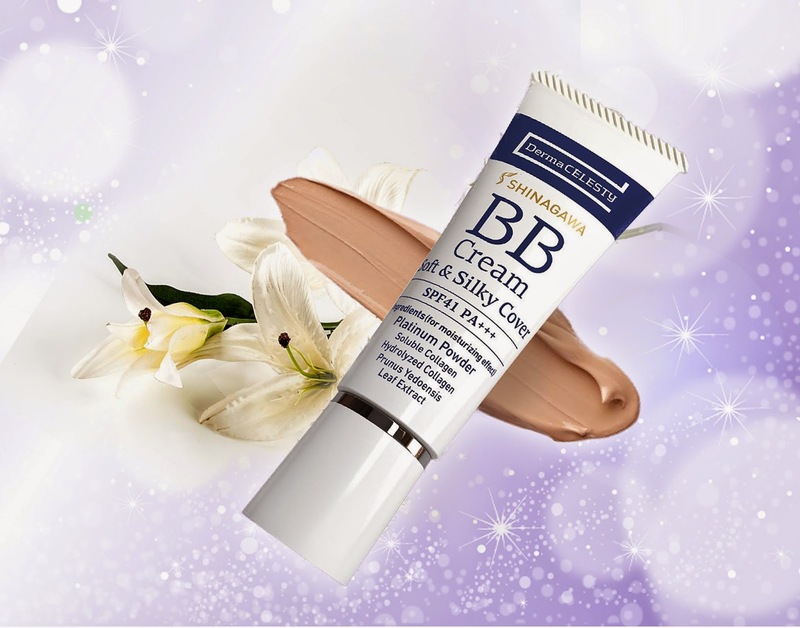 The BB Cream Soft & Silky Cover is part of their well-known, and much-loved skincare line. 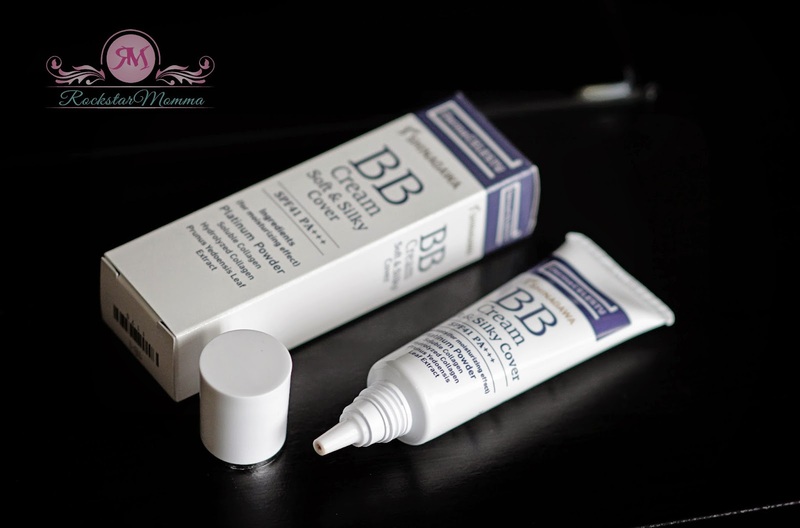 This BB Cream claims to cover blemishes and spots instantly, it also contains soluble and hydrolyzed collagen to rejuvenate your skin from beneath the surface and stimulate your body’s own natural collagen production, preventing fine lines and wrinkles. The packaging looks clean and simple with a twist lid. The back part is written in Japanese so I really can't read it. It comes in a 30g tube, with a pointed tip and nozzle that is quite small so you can easily control how much you want to use. The tube is small enough to put inside the purse or bag, perfect for busy and always on-the-go women. It has SPF 41 PA+++ and packed with highly effective ingredients like Platinum Colloid, Prunus Yedoensis, Leaf Extract and Hydrolyzed Collagen that penetrate deeply into the skin leaving it fair and radiant. Above, you can see the swatch but I applied the BB cream by dotting it on all areas of my face then blended it out with my fingers. I prefer using fingers when it comes to BB creams. It's very easy to apply and it has a creamy, lightweight consistency that glides on smoothly. 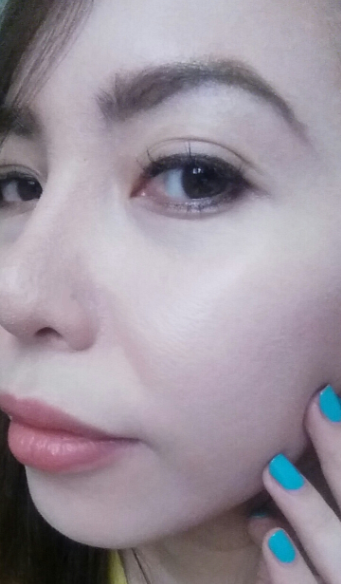 It blended in perfectly well with my skin, leaving my skin a more matte finish, which I like. It's also perfect on those days you want to look fresh or let your skin breathe and not look "made-up." My biggest enemy is the dark circles under my eyes and with this BB cream, it’s definitely a real “me, only better” stuff and manages to cover my eyebags, illuminates without adding sparkles, evens skin tone, and provides day long hydration. First off, it matched my complexion perfectly. Being fair skinned with yellow undertones makes choosing and using the right BB cream a struggle, but this one's perfect for me. Secondly, I didn't need to pour on a ton of it to cover the dark circles under my eyes. I just had a few squirts and rubbed it in without any issues. The coverage is buildable, and it feels very light yet leaves my skin looking radiant. It has tint that gives the skin a good coverage to even out the blemishes and stays on a solid 7 hours without fading or oxidizing. For oil control, I only need to set my face with the lightest dusting of powder on my oily T-zones, and another tiny dab of powder or blotting paper at lunchtime means it stays put all day without flaking or breaking me out. However, after around 7 hours, especially if you pack on several layers of BB cream though, it can start looking cakey. It costs ₱1,950.00 and for a single product which can provide hydration, protection and provide good coverage, it's really worth the price. Also, with a 6-in-1 solution, you can also cut your morning beauty routine in half. I love how the BB looks on my face. It looks natural, yet still flawless. It gives a matte look all day long. I got around 7-8 hours of wear out of it, before needing my first powder touch-up. It has anti-aging ingredients that I need. I'm 33 but age is just a number, I believe. UV care and SPF protection, SPF41 PA+++ to be exact. 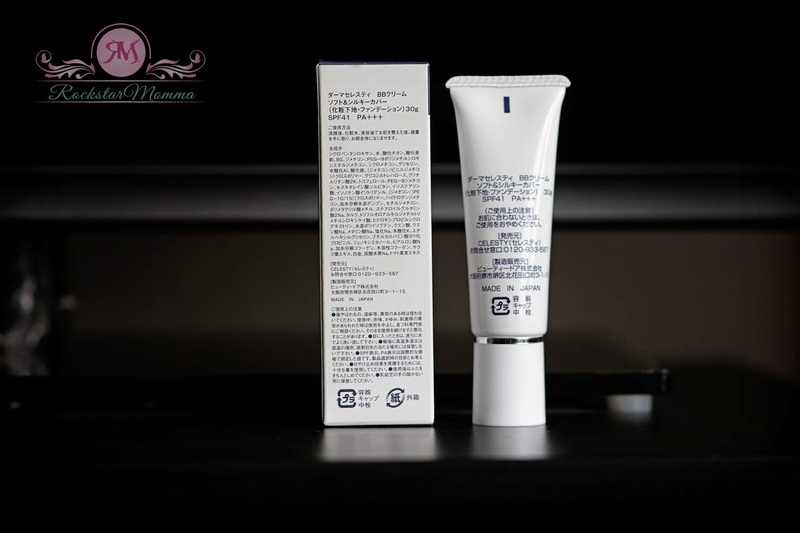 It felt very hydrating and fresh on the skin, with active ingredients that has moisturizing effect. The best thing about it is that this baby has coverage like no other! It gives more coverage than other BB creams I've tried before, and it doesn't look heavy at all. I love how it can actually cover up the imperfections, while still taking care of your skin. Only 1 shade available. Morenas might find it too light or might not suit their skin tone. It only comes in 30g tube. I absolutely love this BB Cream, it's a quick beauty fix and the best 6-in-1 solution to your facial needs. It covers spots like magic and looks natural on the skin. I can officially say I’m a huge fan of this product, and this one is definitely one to check out. In my experience, this is one of the best skincare products I trust and wholeheartedly recommend to my readers. I'm loving it, and here’s the selfie to prove it. Do visit Shinagawa Lasik and Aesthetic Center to learn more about the Celesty line of products for the best in skincare from Japan. Like Shinagawa Philippines on Facebook and follow them on Twitter. 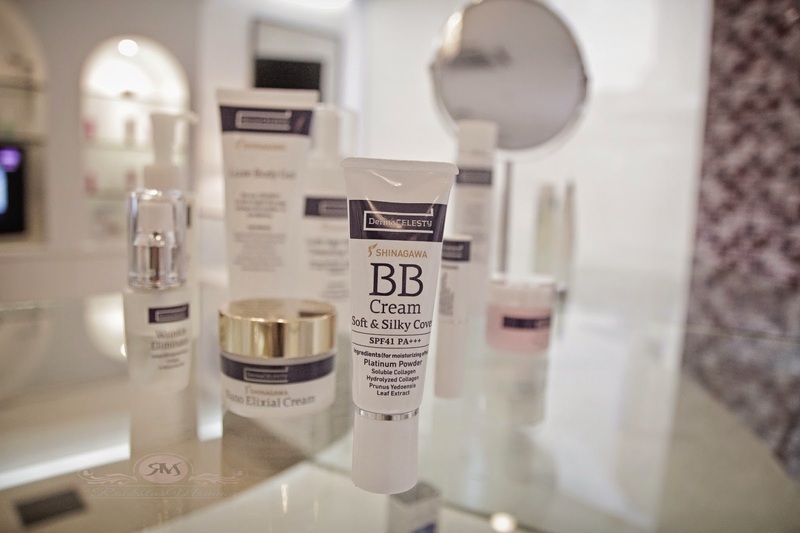 What do you think of this BB Cream? Have you tried any Celesty products before? Which one did you like best? Tell me in the comments!